In the early-1800's, Texas was part of Mexico. In the Mexican government's desire to control this valuable land, Stephen F. Austin and other empressarios were hired to recruit settlers to move to Texas from Kentucky, Mississippi, Tennessee, and other US states. Inexpensive rich, fertile land and many other great incentives were offered and many folks quickly packed up and moved their family to Texas. In their rush to leave, many left simple notes on their front doors that explained it all: "GONE TO TEXAS!". 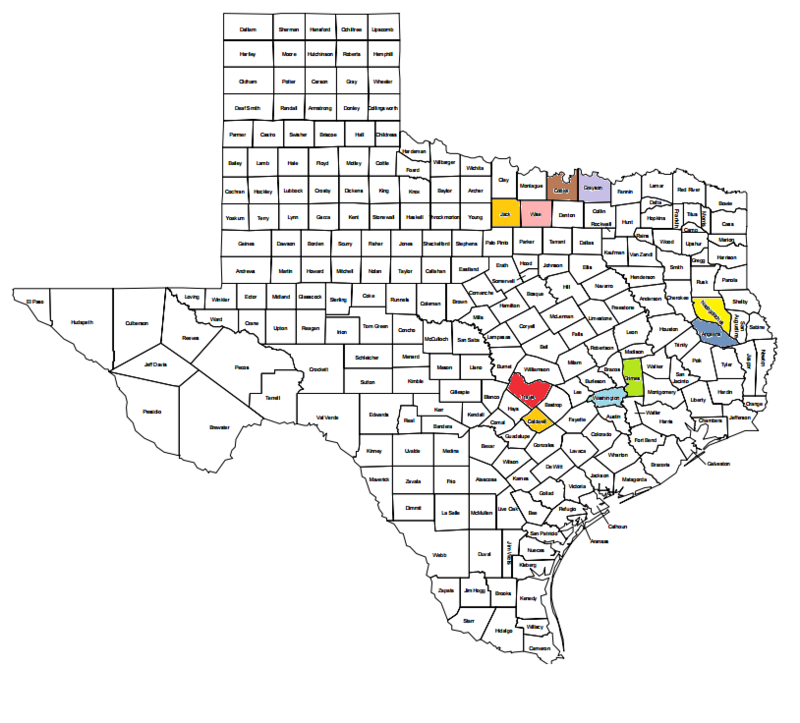 On February 14, 2016, Susan & I embarked on our next great adventure: exploring every county in Texas. With 254 counties, we've got some great roads to travel & a lot of history to experience.For photos and more info, click the county names below and be sure to scroll down this page to read about some of our favorites. We love your comments and you can email us by clicking on the Email Me link above. Better yet, come travel with us!